Author Annie Douglass LIma featured Bridger on her blog in an article about harnessing anxiety into storytelling. Author and radio host Parker J. Cole featured the first episode of Bridger on the Write Stuff Radio blog, and subsequent episodes each week. Author and publisher Casia Schreyer reviewed the first eight episodes of Bridger on her website. Award-winning author Evelyn Puerto reviewed Bridger on her site. 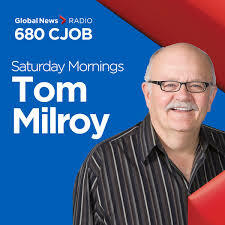 Geralyn spoke to radio host Tom Milroy about Bridger and how she became and author. Geralyn spoke to host Brianne Fiebelkorn about Bridger, her role-playing writing process, how novel-writing builds empathy, and messages behind the story. The Carillon reporter Dave Baxter wrote about how Geralyn’s life with mental illness influenced the writing of Bridger.